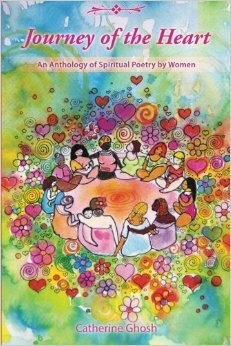 This beloved collection of women’s poetry can be found on Amazon. When I was a teenager, I never read a poem unless it was forced upon me by some well-meaning, but intimidating English teacher. While other high schoolers pontificated the deeper meaning between this and that line, I was forever lost in the muddle, engulfed in imagery as complex as ancient languages. Poetry was a puzzle—a dribble of words that never made sense. I spent the next decade with a poetry phobia. Then, a miracle: Mary Oliver was thrust into my literary cannon during Sunday worship at Binkley Baptist Church, when “Wild Geese,” was used in the liturgy, as smooth and as sacred as a hymn. It was the voice of the female poet, offering her perspective on acceptance, despair, life, nature—that posed an invitation back to the genre. Women write poetry in a way that connects with other women—fostering a wider community, woven together by the spirituality of words. In Journey of the Heart, poetess and editor Catherine Ghosh continues Oliver’s thread. Journey of the Heart is a generous anthology of 133 poems from 67 feminine voices, including a photographer, filmmaker, an interfaith minister, a child psychologist, a yoga teacher, university researcher, an attorney, and trans-gender woman and Druid priestess. Unlike their male counterparts, these poetesses speak truth to the unique experiences of women, unpacking the complexities of feminine lives. We cannot truly know ourselves until we are ready to take a sacred inward journey. Poems invite us inward, shutting the door from the noise of the external world and shedding light on what’s real. One poet, Pranada Comtois, shares that it took another woman to give her “permission” to write poetry (“Closing In,” page 15). Journey of the Heart is about women’s voices–women sharing experiences of the seduction of creativity (“Oh, Poetry” by Vrinda Aguilera, page 4), relationship with nature (“Springtime Meditation” by Shailie Dubois, page 29), destruction and suffering (“Oh World, I Love You” by Rosemerry Wahtola Trommer, page 67), and creation (“Birthing” by Nancy Carlson, page 140). Perhaps the most important lesson of Journey of the Heart is the community in which women can and should operate. Mutual sharing, mutual encouragement. This book is a place where women can gather–even if only figuratively–in solidarity to what makes us special. Because Journey of the Heart is divided into “stages” and experiences of the feminine, this collection can and should remain at to your finger tips when you are need of an infusion of hope, commiseration, light, and love. Ghosh has offered a gracious invitation to the interior journey of the heart. Journey from the Heart is available on Amazon, purchase your copy today. Thank you for reading and commenting, Catherine! Journey of the Heart is fabulous read. Thank you for your generous words. YOU are the driving force behind the Journey of the Heart community, and I know that these poetesses are grateful for the space and connection. As a reader, I’m grateful to be “invited” in to the community. Thank you for giving women a place to be together and to be heard. What a priceless gift! Thanks for pointing to this book, Dana! Sounds wonderful.